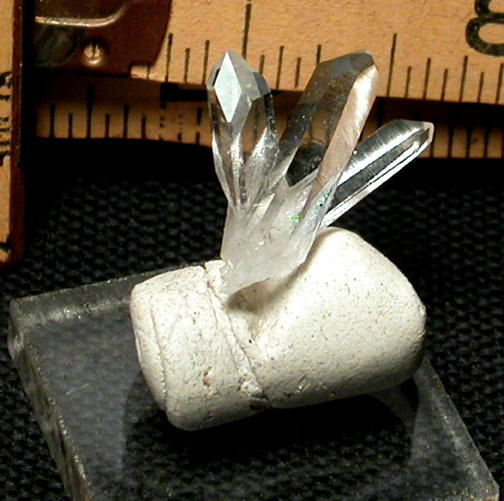 Exquisite rarieties in a gem grade cluster, this 3/4x 1" tall Arkansas trio features two extremely rare EIGHTH faced crystals and one with an uncommon SEVENTH face. 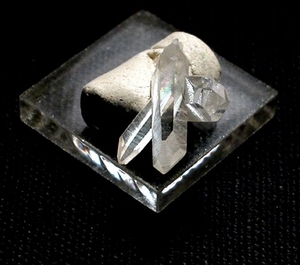 Two points are laser crystals, one a very rare dogtooth habit which looks nearly diamond-shaped when viewed from its' point down. Rainbows, a growth mark, and sparkles from this small fan will enhance your collection and/or jewelry design.